Hands-free receptacle offers a sleek design that lets you step on a pedal at the base to open it. Lid closes slowly and quietly to prevent any snap-down effect preventing slamming of the lid. 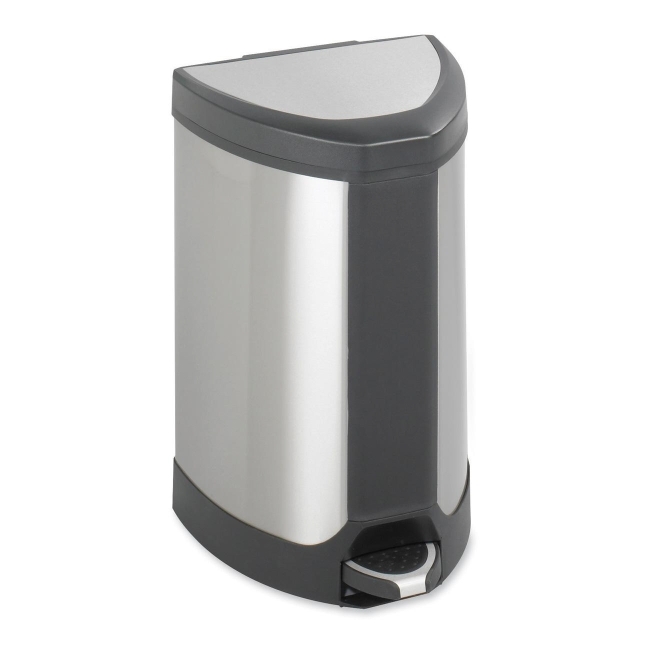 Step-on receptacle is made from stainless steel that is fingerprint-proof to help keep the receptacle sparkling clean. Receptacle includes a rigid plastic liner with a built-in bag retainer to hold the bag in place.